If you are a user of Facebook Live, you have a few new features to look forward to. 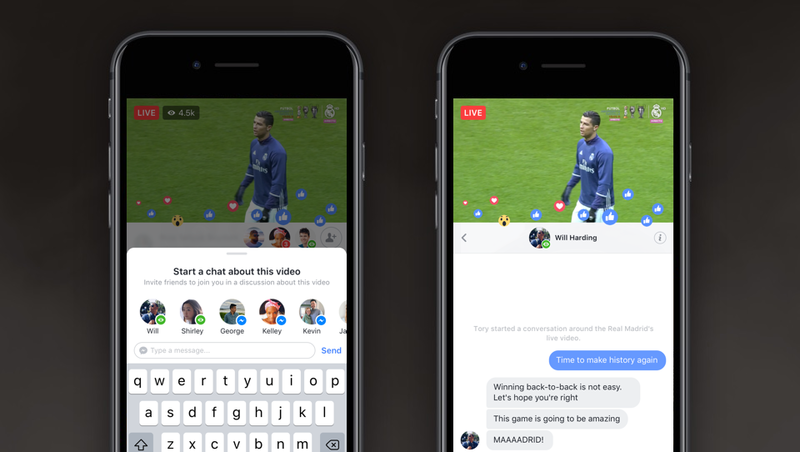 Today Facebook has announced that it is adding Live Chat With Friends and expanding access to Live With, each of which increases the ways you can engage with your friends during a live broadcast. Live Chat With Friends will allow you to enter into a private conversation with your buddies while you are watching a live feed together, though the feature is only in testing on mobile in certain countries for now. 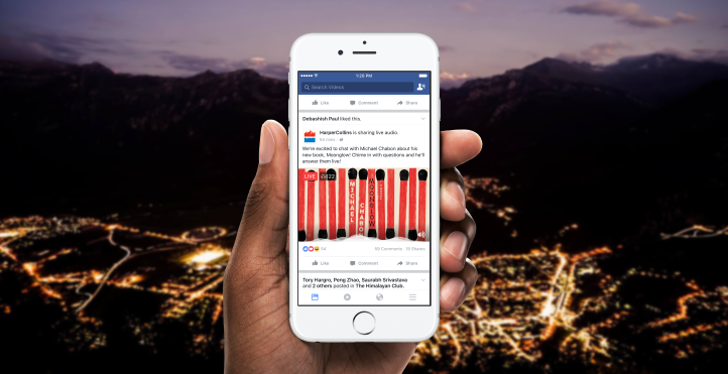 After announcing Live 360, Facebook is continuing its crusade into the live broadcasting arena with an audio-only format cleverly named Live Audio. The premise is extremely basic: users will be able to broadcast their voices to any subscriber who may be tuning in. Facebook is trying its hardest to break into online video, between adding live streaming to the mobile Facebook app to creating a 360-degree video viewer for the Gear VR. 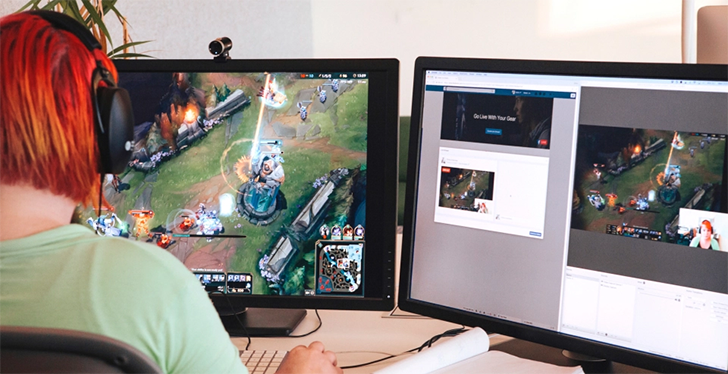 Today the company announced another expansion of its Facebook Live feature, this time for the desktop. 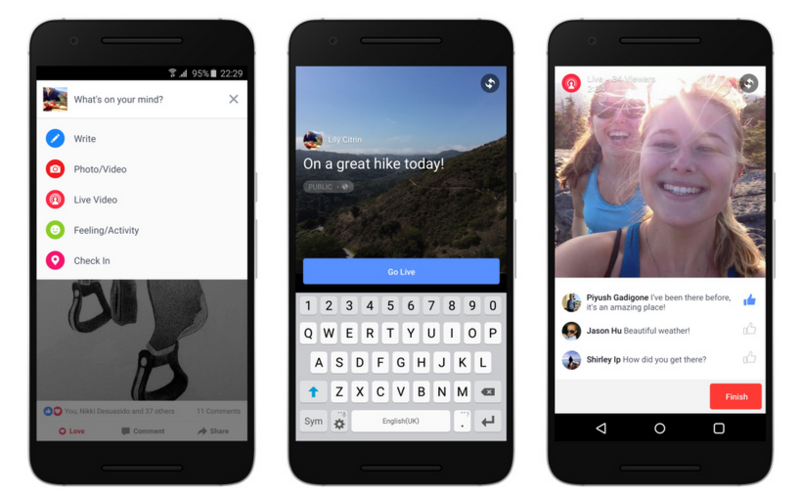 A Month Later, Facebook Live Tab May Be Going Live In Android App - Are You Seeing It? 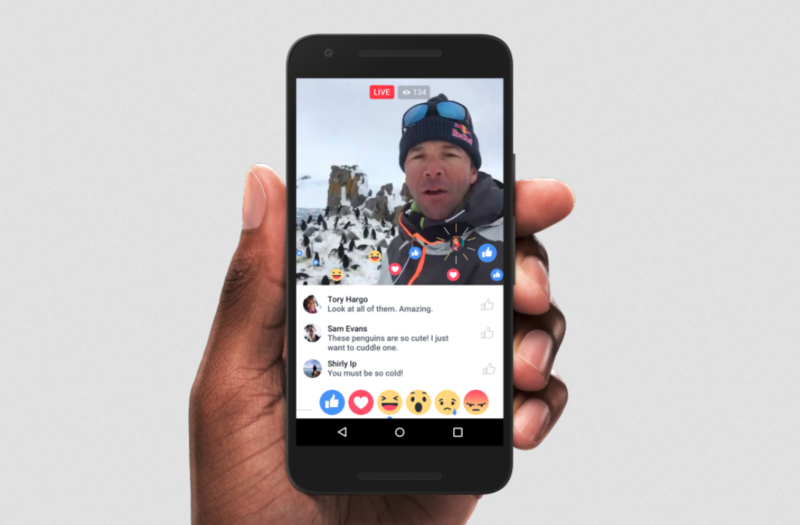 We're going off a single source here, so grains of salt and all that, but it looks like Facebook has finally begun to push the new Facebook Live tab to some Android users, a month after announcing it. The image below is from Romanian blog daytrend.ro, and clearly shows the same UI we saw in Facebook's initial announcement in April. Facebook wants you to share more - specifically, more photos and videos. 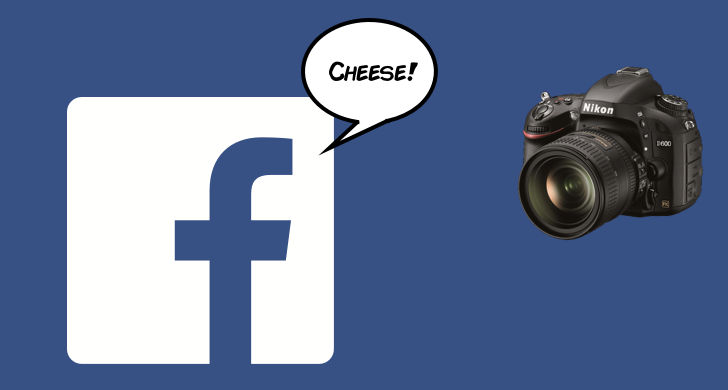 With that in mind, the Wall Street Journal is today reporting that Facebook is working on a dedicated camera app to compete with the likes of Snapchat and Periscope, who are stealing the limelight away from Facebook's much-touted video platform. The app would allow users to share photos to Facebook more easily and quickly than is currently possible - it's easy through Messenger, but sharing to your Timeline is a little more convoluted - plus stream live video with the tap of a button. Live video is of course new for Facebook, having launched on Android in February. 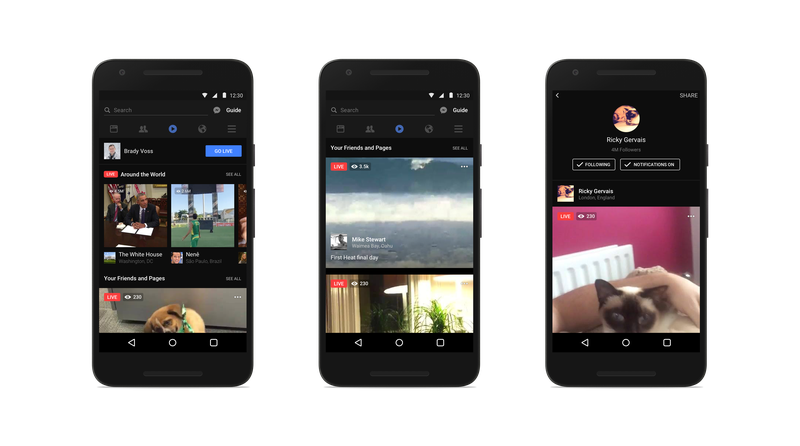 Facebook recently introduced live video. Now it wants more users to start recording themselves. To entice people to do so, the company has rolled out a few enhancements. Let's start with the people willing to stand in front of the camera. Since launch, you've been able to share streams with friends. Going forward, you can also show your feed to entire Facebook groups and events. 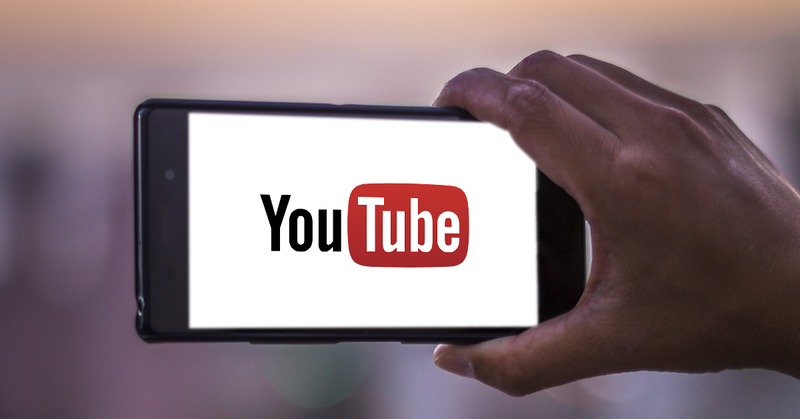 VentureBeat is claiming to have wind of a new app by YouTube, named 'Connect.' The app will reportedly be used for live-streaming, in much the same way as Periscope and Facebook. According to VentureBeat's sources, Connect has many of the same features as those two apps, including a 'news feed' to see which of your subscriptions are streaming or have shared video, and chat among users. This marks the fourth YouTube spin-off app, following Gaming, Music, and Kids. It's interesting to note that Connect will introduce a social element to the internet's go-to video service. While YouTube does have a subscription feed updated with videos from creators you subscribe to, it's a poor rendition of a true news feed à la Facebook. There's this feeling floating around the Internet that Facebook is irrelevant. It's old. The kids have moved on. They're Tumblring, Vine-ing, Snapchatting, and Instagramming (okay, that one's owned by Facebook, but whatever). They wouldn't be caught dead using the same social network their parents sign into. Famous people aren't using it either. They've moved to Twitter. What's a site like Facebook to do? Introduce live video.